Biography of Kaka Bhaniawala Fame Daru Pi Ke Jatt Bukk De, Kaka Bhaniawala whose real name was Santokh Singh Rataurh was a Punjabi singer, born on 05/04/71 in vill. Bhani distt. Ludhiana Punjab. Kaka Bhaniawala whose real name was Santokh Singh Rataurh was a Punjabi singer, born on April 5th, 1971 in village Bhaini district Ludhiana Punjab. The name 'Kaka' was a nickname presented to him by his mother. He took upon the nickname to be the signature name on the stage. 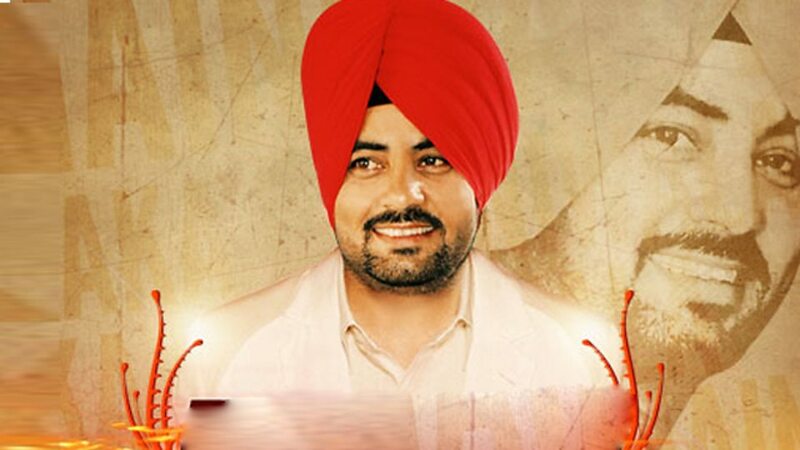 He was one of the most successful Punjabi singers of the modern era and often compared to Lehmber Hussainpuri. Mashook Teri Chall and Vadia Sharabia. Not disheartened, he set establishing himself in Europe by setting up a base in Coventry, England where he would compare it to his second home. He achieved considerable recognition when he lent his voice to well established UK producers TigerStyle for the massive hit 'Nachna Onda Nei, which later became even more famous on the mainstream market when used by ITV's Britain Got Talent duo Signature. , "Jawani",'Kise Hor Banere, Sahnewal Chowk, Bandook, and many more to the bhangra scene in the UK that led to his voice being regarded as one of the finest of the modern era. His success he believed, was down to the support of his fans, the blessing of the Almighty and his family. Never the one to shy away, Kaka would take upon the opportunity to lend his voice to up and coming producers and would assist where possible in supporting new talent. Kaka's talent was further recognized through his live performances on stage and being able to sing in front of thousands of fans nonstop. Such was the success that it led him to tour many parts of the world such as Europe and North America giving memorable performances and interviews to his fans. of Jaundice from liver failure in Ludhiana after going through a routine blood treatment. The loss of a true voice was mourned by many in the bhangra industry and came as shock to many fans who did not expect the sudden loss. Prior to Kaka Bhaniawala's untimely passing, bhangra was still reeling from the deaths of Surjit Bindrakhia, Kulwinder Dhillon, and Soni Pabla. After his death, a concert was held in Birmingham to raise money for his family based in India. All famous singers and producers from around the world came together to recognize the talents of a true legend. Even after his death, numerous songs and albums have been released featuring his voice as well as his presence in some of the music videos. He can still be seen and heard in some of the videos shown on TV, radios, gigs and on the internet. Kaka's talent can be seen noticeably on youtube with many videos featuring his performance. Many fans and commentators reminisce the talents of a man who's true potential was cut short through ill health. Taken away from us at a time when the music industry needed a talent whose strong but sharp vocals could shine over bhangra.